Sometimes we just need a little inspiration to make something quick, beautiful and delicious out of very few simple ingredients. Right? Especially on a Monday. I mean – raise your hand if you too frequently have granola for dinner? Or lunch? Let’s just admit it, we simply don’t have the time to cook fancy dishes all of the time – no matter how much we would love to do just that. That’s at least true when it comes to me and my little family. 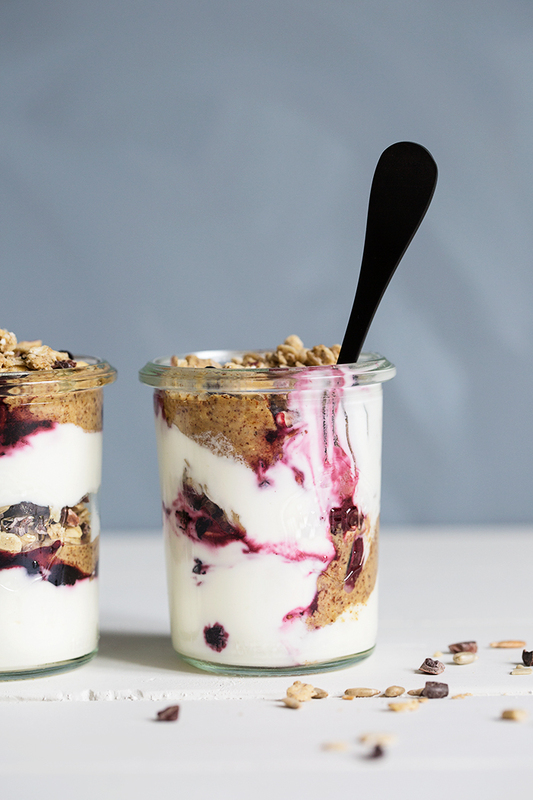 Layered yoghurt jars make me happy, because they are pretty much the same thing we would normally put in a bowl – only prettier and therefore more fun to eat. Plus, everybody loves them and you can easily customize the jars to each individual’s liking. And best of all, they can be thrown together in almost no time! Now start getting creative with what you have at home! Below are some suggestions from my pantry. 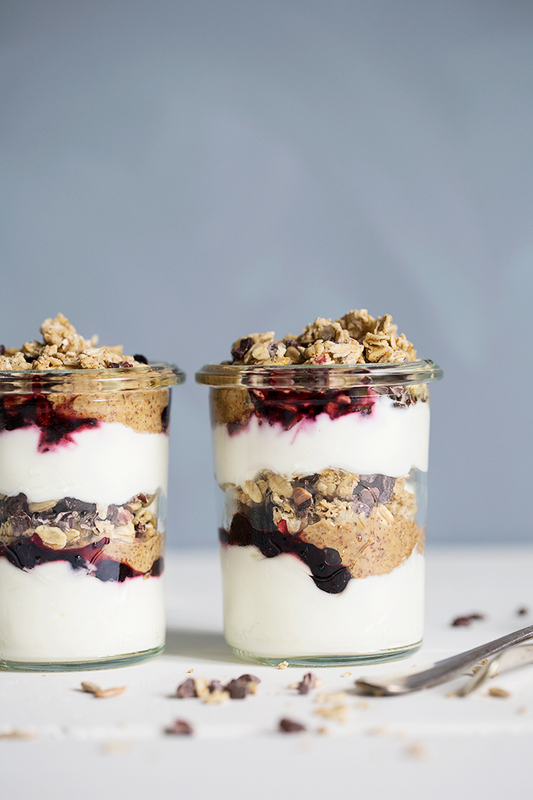 1) Layer all the ingredients in glass jars and top with all of the dry ingredients, or just a few + berries or fruit. Surprise your family or friends by making customized jars for each one of them. Success guaranteed! Simply delish! I could eat so much more of this than I need! Yes please! Tori – :-) I know – too good! Amazing! So simple yet so so delicious looking! Perfect breakfast!! This looks amazing!